Kerry is the team manager of the Clinical Negligence Team.She has over 18 years of experience in dealing with Clinical Negligence claims acting for claimants and joined Clarke Willmott in 2003. 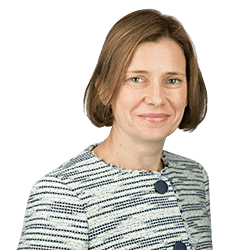 She handles a variety of complex and high value claims where clients have been left with life changing injuries and has a specialist interest in paediatric and birth injury claims having dealt with a number of cerebral palsy claims. Kerry is a panel member of both the Law Society and AvMA Clinical Negligence Panels. Find out what our clients say about Kerry. Brain injury – recovered damages in excess of £1.5m for a client who suffered a stroke following negligent heart by pass surgery.